Ibrox Noise: Did Gerrard make THIS big decision before he was even appointed? Did Gerrard make THIS big decision before he was even appointed? While it is only correlation, and could be based only on significant coincidence, it is very telling that former number one Wes Foderingham lost his place following the Old Firm disaster at Hampden which ultimately led to the exit of Graeme Murty as manager on 1st of May. 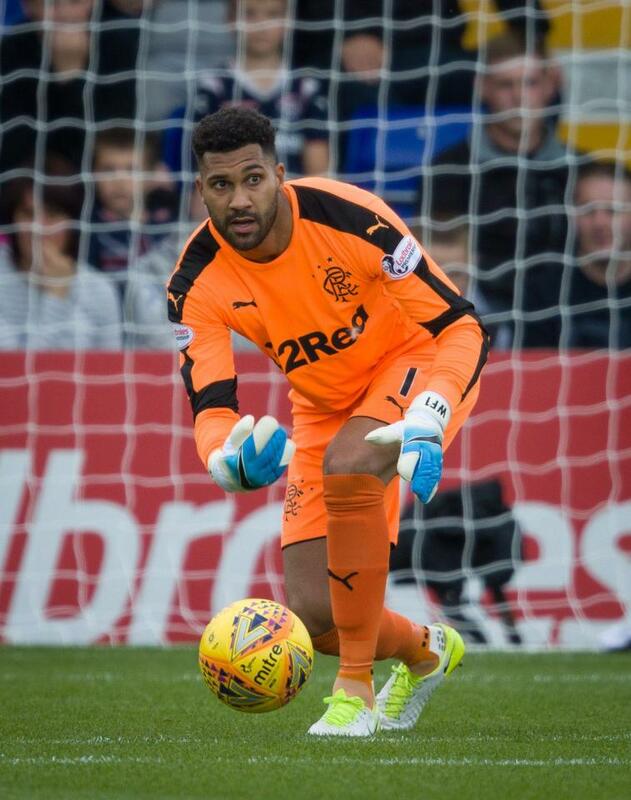 Foderingham didn’t play a single minute following that 4-0 horror show on 15th of April, and there is a reasonable case to point out how heavily linked to the manager’s job Steven Gerrard was by this point, leading to the possible conclusion that Steven Gerrard had already made his decision over Foderingham’s merits as Rangers keeper. And had decided he didn’t have any. It is notable that Jak Alnwick started every match from the Hearts win on 22nd April onwards, with, at the time, Foderingham’s absence from the squad attributed to an injury. Well he has been in training like the rest of them, but has been excluded from all match day squads since that Hampden atrocity, and while we are absolutely not blaming him for that disastrous result, it is pretty evident that those who think Foderingham has been ‘our most consistent performer for the past two seasons’ (and believe us, some in our support think this) have lower standards for Rangers goalkeepers than the majority of us are used to. Gerrard appears to have taken one, maybe two looks at the ex-Swindon stopper and dismissed him immediately. And Wes’ cryptic tweet recently confirmed something is definitely up – the last time he addressed departure rumours he was categorical with a rejection of their validity. This time, such denial is conspicuous by its absence. And we are thankful for this – we now have a real goalie between our sticks, a truly top class glove man and we’re delighted. We should emphasise, this isn’t a smear on Wes – he seems a decent sort, and he has tried his best – he certainly isn’t the worst performer since promotion, and in fact at times has flirted with looking quite decent – but his displays last campaign were mostly mediocre with a lot of gaffes and extremely uncertain performances and long term that isn’t good enough for Rangers. We wish him the absolute best, he didn’t exactly stain the club in indignity while he had the sticks, and that goes a long way for us. But an Allan McGregor, Stefan Klos, and even Lionel Charbonnier he isn’t, and it’s time for us to part ways. And Make McGregor Goalkeeping Coach! Let's dig deeper. MW signed him so had to stick with him fine but Pedro played him before Alnwick when obviously he was a better keeper then Murty did exactly the same? All these Cocos seen the both of them in training couldn't see it along with the keeper coach. This alone should fill every bear on here with confidence, Stevie seen it in a heartbeat whilst replacing the keeper coach to boot!! Of course the bust up with Miller and Wallace has never been explained. Perhaps Foderingham featured in that. I believe Gerrard was put into Kings mind in Feb when King spent a week golfing in SA with Kenny Dalglish. How he got a spot in front of Scotland International Matt Gilks was also baffling. A good shot stopper but decision making and distribution was poor but wish him well in his future career. If Fod is going and there's a fee, fair enough, but this is a pretty poor assessment. In his first season he did ok and clearly worked on his game after promotion because he was outstanding in that first season in the SPL - almost single handedly kept us third. Last season I'm struggling to see the mediocrity, unless we are saying that all SPL keepers are mediocre - he was the best playing up here. Gordon is usually found out against better teams (the England match being a good example) and McLaughlin, who many were pushing this way, has gone to EPL1. He was no Klos but Fod did a decent job up here.